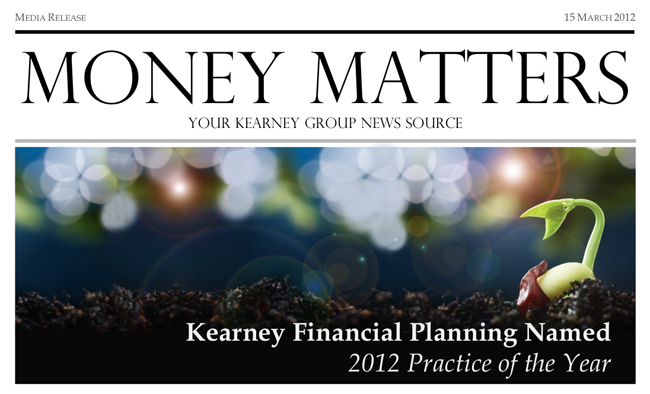 The Kearney Group team is pleased to announce that the firm has been named Practice of the Year for 2012 by its licensee, Securitor Financial Group. The award was announced yesterday at the Securitor Professional Development Day in Melbourne and follows the Kearney Group's 2011 National Practice of the Year award, and CEO Paul Kearney's Adviser of the Year accolade in 2010. As Victorian Practice of the Year, the Kearney Group is now in consideration for the national award which will be announced at the annual Securitor Convention in April.